Lyrics are a powerful artistic tool. Musicians often draw inspiration from their past experiences to write captivating songs. Less often, these same musicians will call out the people who inspired these songs by name. Twelve years ago, Charm City rockers All Time Low decided to write a tune about a young woman named Maria—a friend of theirs who they later found out worked as a stripper. Interested by her secret profession, the band turned her story into what we now know as one of the greatest pop-punk anthems of the late 2000s. For over two decades, singer-songwriter Andrew McMahon has been a pioneer within the alternative scene, founding such established acts as Something Corporate and Jack’s Mannequin. His most recent solo project began in 2014 with the release of his debut single, which was written in dedication to his now 5-year-old daughter, Cecilia. From As It Is’ sophomore album okay. comes the emotionally driven single “Hey Rachel,” written for frontman Patty Walters’ sister. Led by upbeat guitar riffs and cathartic lyrics, the song is the singer’s apology for years of misunderstanding toward his sister’s battle with depression and anxiety. Today, the siblings are closer than ever, and Walters acts as an advocate for mental health awareness. One of blink-182’s earliest hits narrates the familiar feeling of being stoked on your crush. However, did you know that the title didn’t come from a real girlfriend, or even person, at all? Instead, it turns out the tune is named after a dog, specifically one owned by Dance Hall Crashers’ Elyse Rogers. Despite its odd origin, the ditty is widely recognized as a classic account of teenage romance. In terms of eponymous titles, this quintessential 2003 bop from Fountains Of Wayne is probably the most well known on our list. At first glance, the song’s lyrics seem pretty self-explanatory, chronicling a prepubescent boy’s adventures in courting his teen girlfriend’s mother. Unbeknownst to most, the song’s subject matter was actually inspired by a friend of bassist Adam Schlesinger, who had a crush on his grandmother. Harold And Maude, much? 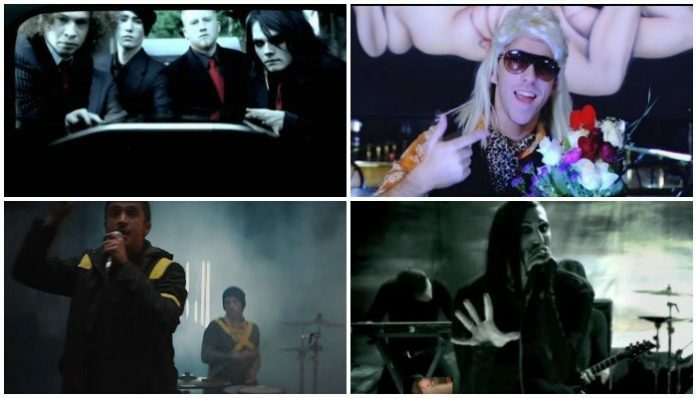 After the success of their previous singles “Shake It” and “Seventeen Forever,” Metro Station were well on their way to gaining the status of scene icons. “Kelsey” was no different, produced by Motion City Soundtrack’s Justin Pierre and Josh Cain. The song was written with Pierre’s friend Kelsey Siemens in mind, and the music video features Friday Night Lights’ Aimee Teegarden. Already very theatrical onstage, it should serve as no surprise that Motionless In White would write an entire song themed around another theatrical work. For their debut album’s first single, the band took inspiration from Arthur Miller’s 1953 play, The Crucible. It was written from the perspective of John Proctor, a landowner and the object of Abigail Williams’ affections, for whom the song is titled.